Nine of my fingers are still numb from frostbite, I’m still not overly mobile and there are some intestinal issues that haven’t totally subsided yet. Still, it was all worth it. 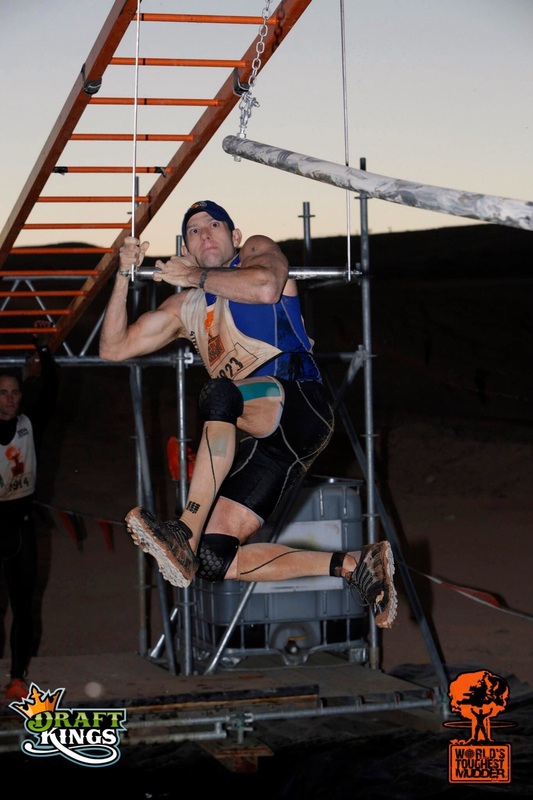 I reached my goal of completing 50 miles at the World’s Toughest Mudder in Lake Las Vegas last weekend. No, it wasn’t easy and, looking back, I could’ve possibly squeezed out maybe another 10 miles had a couple things fallen my way. But I think my tearful breakdown as I crossed the finish line for my 10th-and-final lap proved that I gave it all I had for 24 consecutive hours. I’m not usually a weepy mess. Yet, there I was welling up as I picked up my 50-mile bib Sunday morning at the conclusion of my first WTM. This was something I had trained to compete in for about a year. I had second thoughts about running this since I had severe IT band issues (a part of the body I make ALL my clients aware of) in my right leg in the weeks leading up to the race. As a trainer, I knew what I had to do to keep that IT band functioning. (I used the foam roller after each lap.) Most of the obstacles were new to me, even though I had done seven Tough Mudders previously. Still, I designed my workouts to focus on the muscle groups needed to get me through the 23 obstacles per lap. Curious to see what those workouts are? AJP Training will launch a weekly boot camp class starting this Sunday at 11 a.m. The class will cost $10 (through the final weeks of 2014) and will be limited to eight people, so make sure you email me and get on the list. Our goal will be to run in the June's Virginia Tough Mudder. I will have a lengthier feature running on a national website within the next month or so. You’ll have to wait to read about all the good stuff --- or you can come to my gym here in Sterling and I can reenact the best parts of the race. Bring barbwire, a cattle prod and mud to make the depiction accurate. Thanks to my dad for helping me set up my tent, get me into my wetsuit and cheering me on for a few hours as a member of my pit crew. Although my mom is still pissed I did it, she was in Vegas as well to help out. Also, a huge thanks to my wife and all the others who supported me -- either via text or on social media -- during the race. Don’t worry. I’m not crying as I type this. Honest.